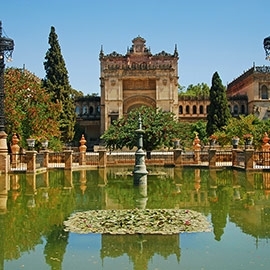 Seville has more neighborhoods than any other city in Spain, each with its own special charm and unique identity. As you walk through the streets, step by step you'll discover the personality of each neighborhood and the little things that make it special. A new world awaits around almost every corner. 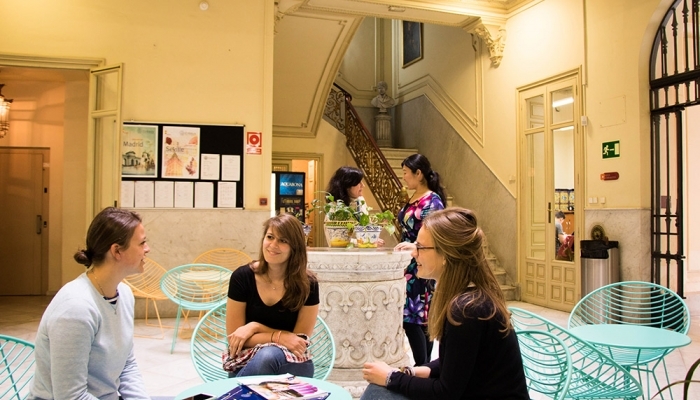 Learn Spanish in Seville and make the most of your time outside of class discovering everything the city has to offer. 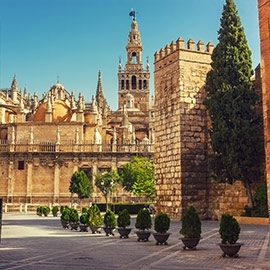 Flamenco shows, modern architecture like the Seville Mushrooms, historic architecture like the Plaza de España, bullrings, tapas bars, Andalusian patios, and so many more places that you'll want to stay longer just to see it all. 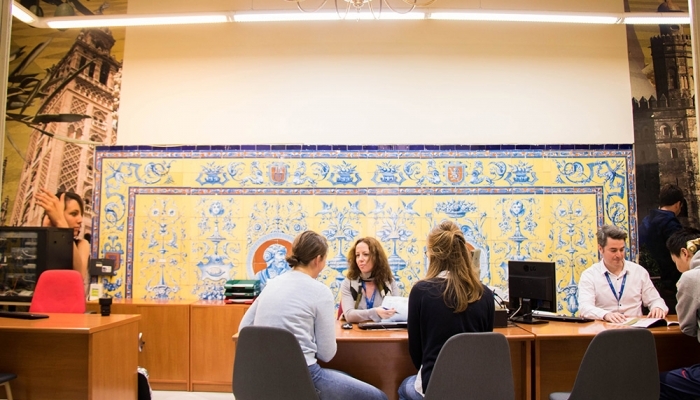 When you study Spanish in Seville, you'll enjoy sunshine every day, a great climate all year round, and an accent so distinctive you'll never forget it. 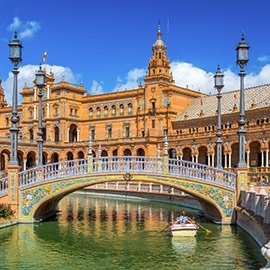 Get ready for all the experencies that await you and discover Spain through the eyes of Seville. 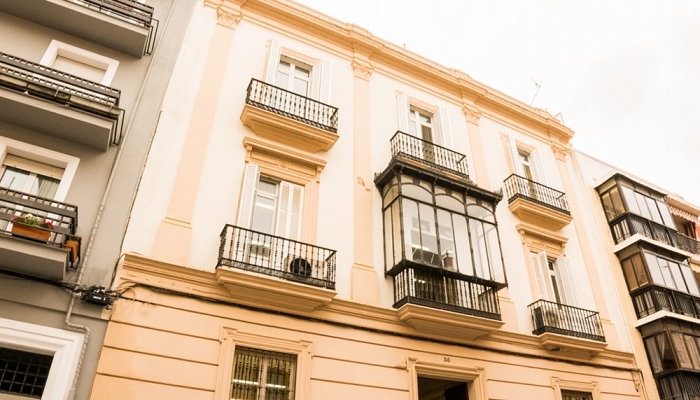 Our Spanish school in Seville is housed in a stunning early 20th-century building that exemplifies the Andalusian modernist style. 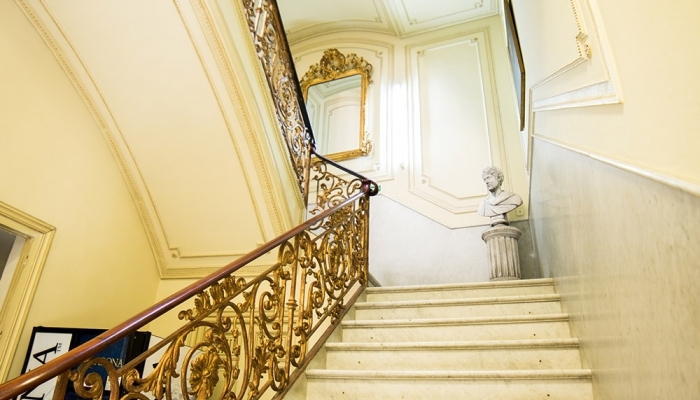 The intricate metalwork of the staircase banister, the many statues and paintings, the brilliant yellow and blue wall tiles, and the balconies overlooking the busy street below immerses our students in an unequivocally Spanish setting. Our school also has all the modern amenities and passionate teachers specially trained in our innovative methodologies to give our students the best learning experience. 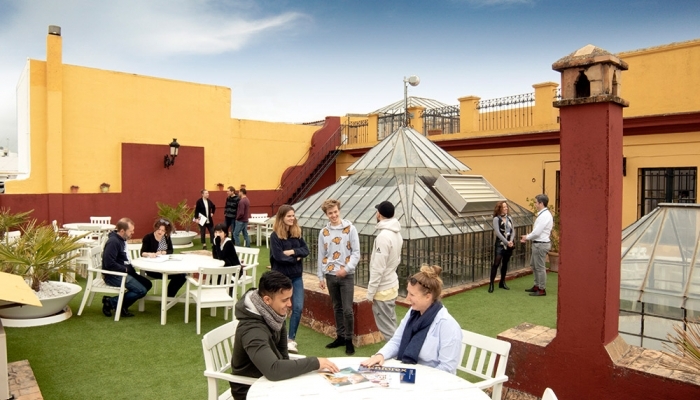 After class, students love to sit and socialize on our large rooftop terrace, where you can bask in the sun and enjoy incredible views of the Cathedral and Giralda. 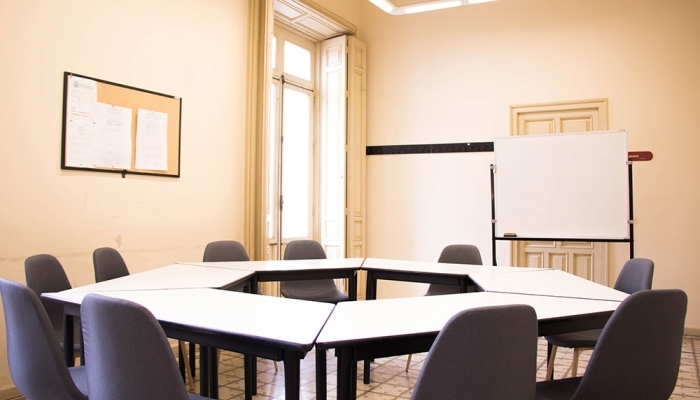 Our Spanish courses in Seville are specially designed to fufill two functions: if you're completely new to Spanish, to enable you to start communicating in any Spanish-speaking environment; and if you're already familiar with the language, to improve your level and continue full speed ahead. 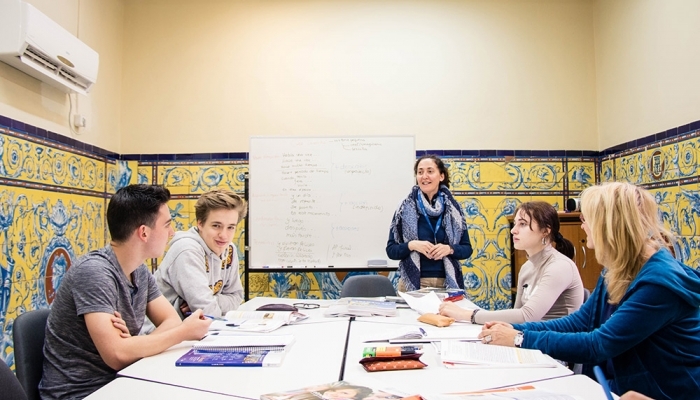 That's why at don Quijote we offer Spanish classes in Seville adapted to every need of each student. 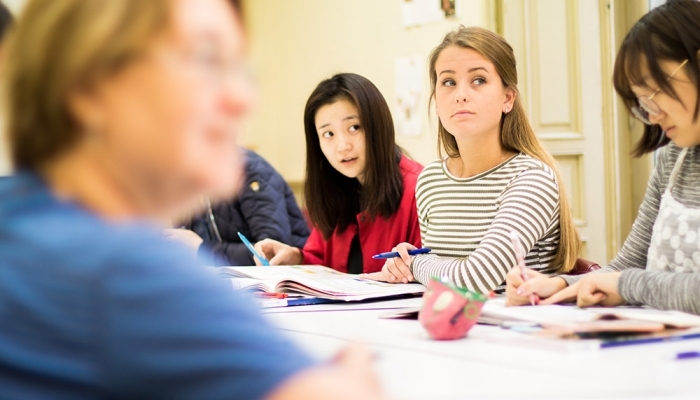 Whatever your reason for studying Spanish is, our teachers will accompany you throughout your time in the city to give you the tools you need to develop your linguistic and communicative abilities. 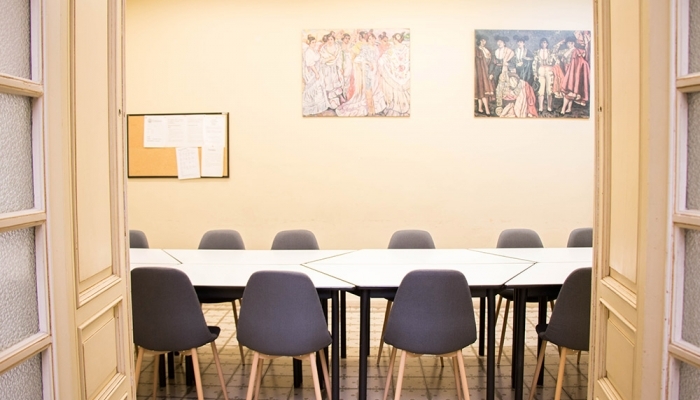 With intensive courses, official exam prep classes, private lessons, or whatever you need, don Quijote will always have the perfect option for you. Enjoy all don Quijote has to offer by staying in one of our accommodations. 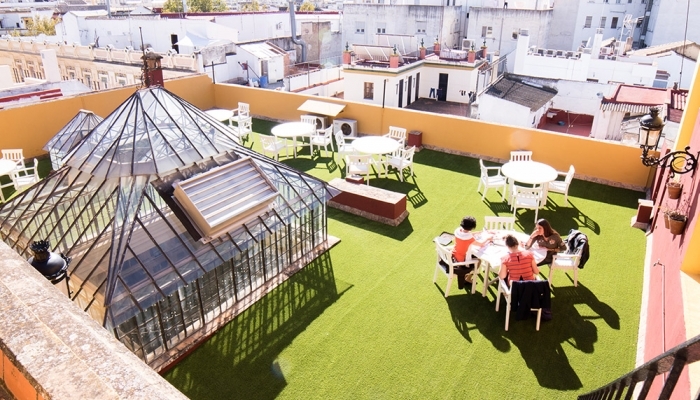 If you are looking for an authentic cultural experience with a Spanish family, to learn local expressions and to immerse yourself in Spanish culture, stay with a host family. Or, if you prefer a more communal experience, live with international students in our fully-equipped, furnished and centrally-located apartments or residence. A traditional Spanish song says that Seville has a special color, and it's all thanks to its people, their joy, the Sevillan way of life, and any other number of reasons. 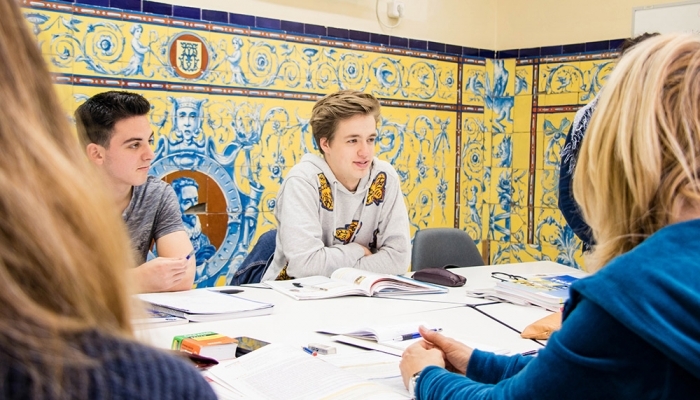 To study Spanish in Seville is to guarantee you'll have one of the best times of your life. Without a doubt, when you visit the city you'll have a thousand and one chances to speak in Spanish and put everything you've learned in class into practice. 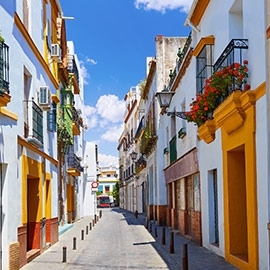 Meander through the streets of Seville, discover flamenco by enjoying live performances, and travel to the worlds formed by each of many neighborhoods that make up the city. Seville´s enormous Cathedral is breathtaking in its scale and history and is considered the world’s largest Gothic Cathedral. Highlights include the Giralda, an impressive bell tower, the tomb of Christopher Columbus, and the Capilla Mayor with an astounding altarpiece. 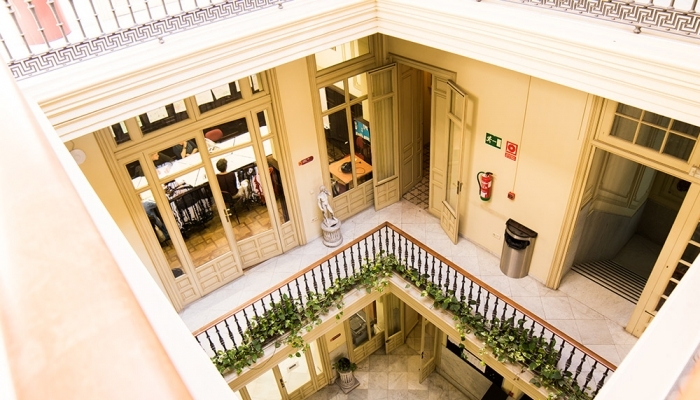 If you want to enjoy a real flamenco performance as you learn Spanish in Seville, all you have to do is walk out into the city and you'll find more tablaos than you can count. In the bars, on the streets, at private shows, and anywhere you can think of, there will always be a place to witness the artform. 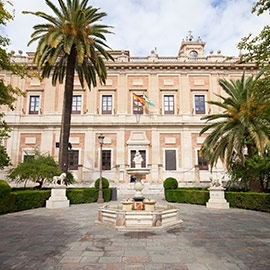 Throughout the year, you'll have hundreds of opportunities to disover the most authentic sides of Sevillan culture with performances, exhibitions, and art shows held all over the city.